Lynn Cooper joined the Merit accounting staff as Controller in 2012. Lynn brings a diverse background in accounting, consulting and information technology experience to the company, including working directly in the commercial construction industry since 2001. Lynn grew up in rural West Tennessee and attended the University of Tennessee at Martin. He graduated in 1994 with a BS in Business Administration and major in accounting. He also earned his Master of Business Administration degree the following year. 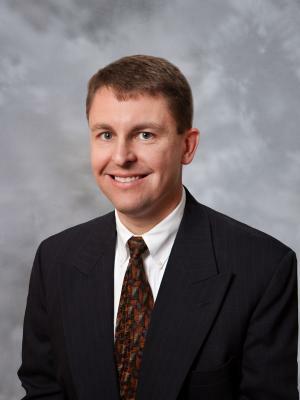 Lynn began his career in Nashville working in public accounting for Kruse & Associates, P.C. preparing tax returns and performing audit procedures for various construction companies across the state. A few years later he joined Magnetek, Inc., a multi-national, publically traded manufacturer. As Corporate Accounting Manager he gained experience with international financial statement consolidation, SEC filings, and assisted with company-wide initiative to implement Oracle Financial applications. He was then provided an opportunity to spend a couple years working as a Microsoft Great Plains accounting software consultant. During this time he developed business process reengineering designs for clients by analyzing workflows and business requirements to assist in improvements to performance measures. He also deployed end-to-end eBusiness enterprise solutions to improve the life and success of mid-market clients that included the innovative convergence of business and technology. His time as a consultant taught him valuable business and IT skills that he has adapted and applied to the construction industry for a number of years. Lynn lives in Knoxville with his wife, Robyn, and two sons Carson and Cameron. He and his family are active members of Fellowship Church and leaders in both the children’s and young adult ministry. They love being outdoors, camping, boating, and snow skiing. Lynn also enjoys coaching and/or attending youth sporting events in this spare time.